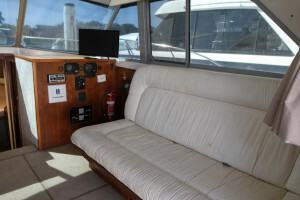 Built in 1986 this twin cabin MK2 Bertram 35 is powered by twin 60C 255hp Volvo Diesels that have just had a full service including all coolers cleaned. 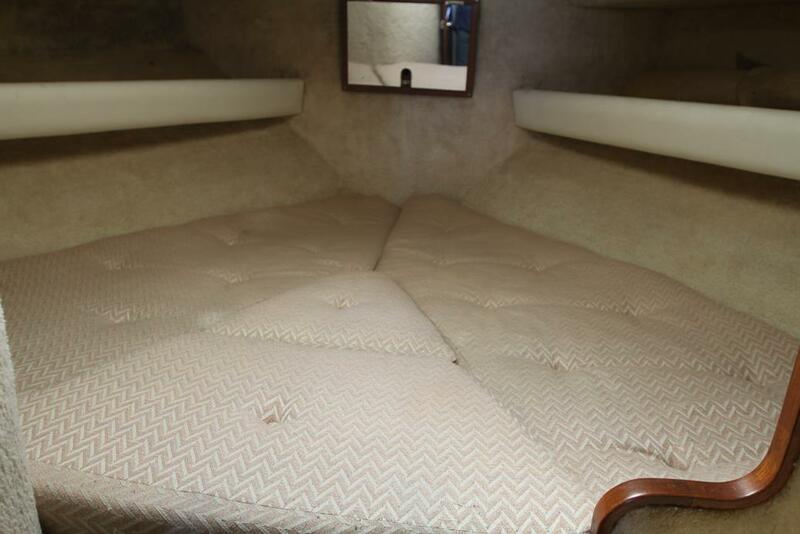 Boasting a layout that can sleep 6 people with ease in two cabins with a convertible lounge this 35 has all features that you will need. 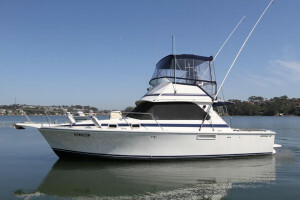 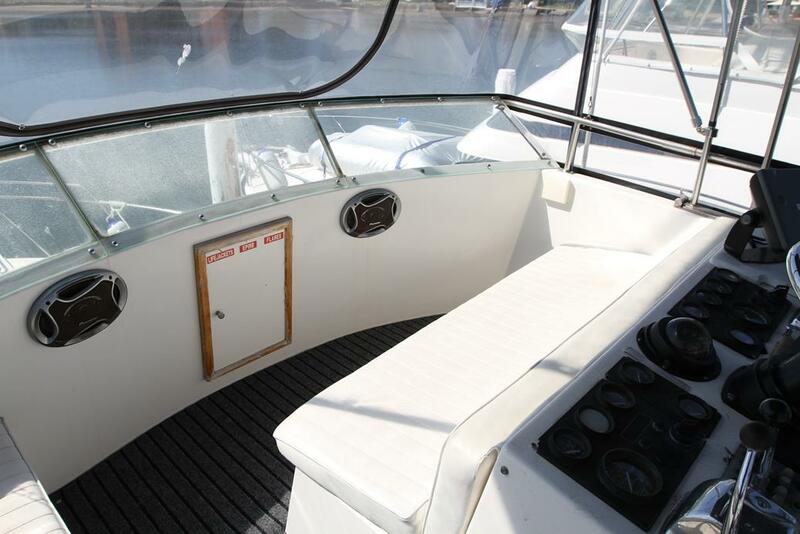 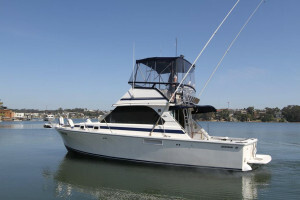 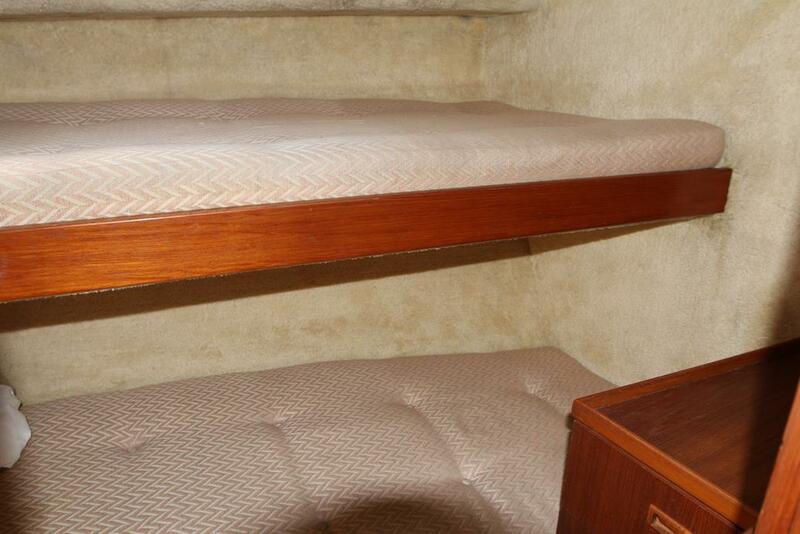 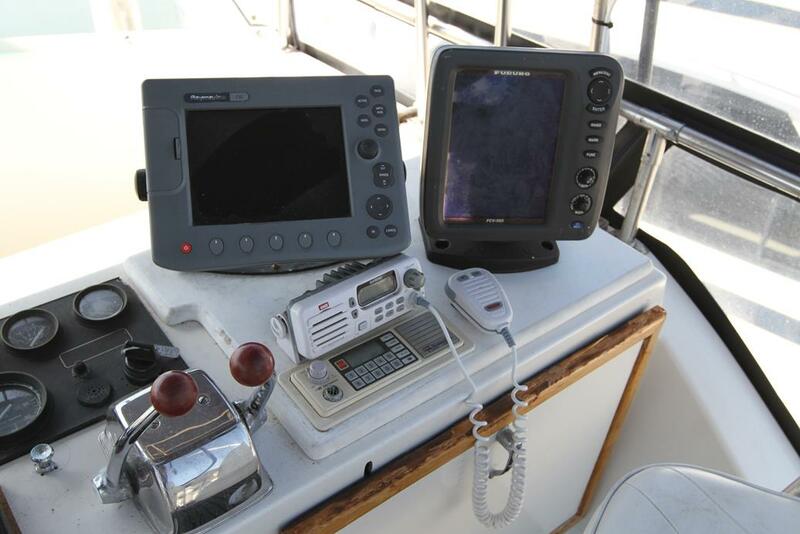 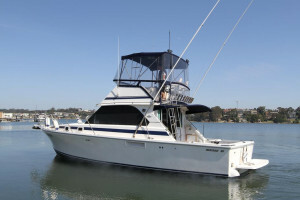 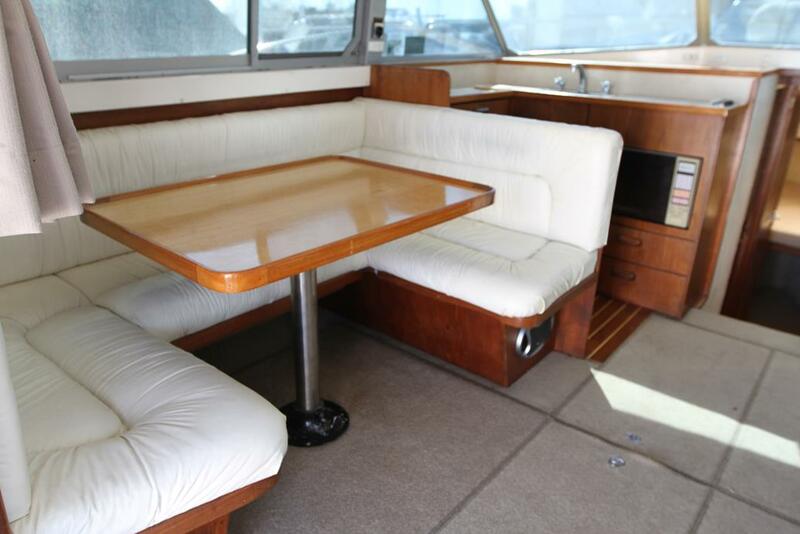 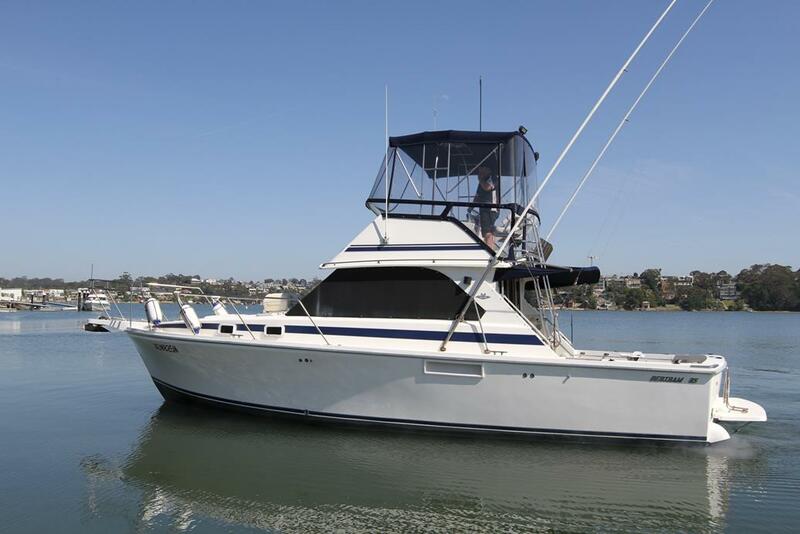 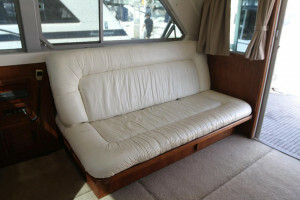 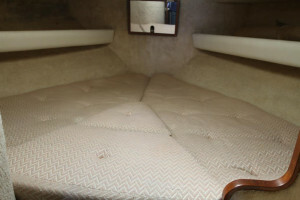 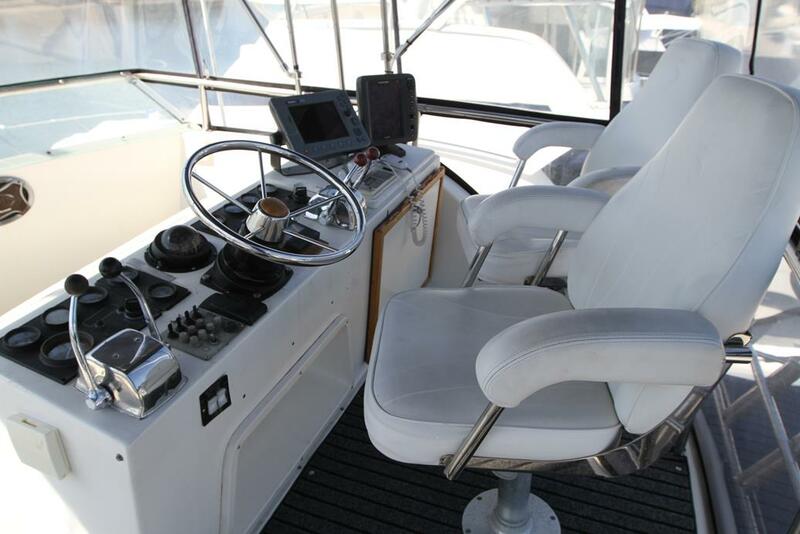 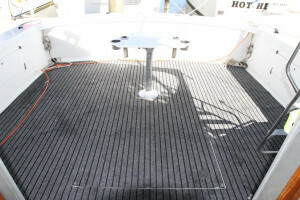 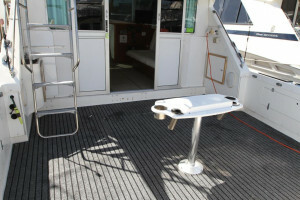 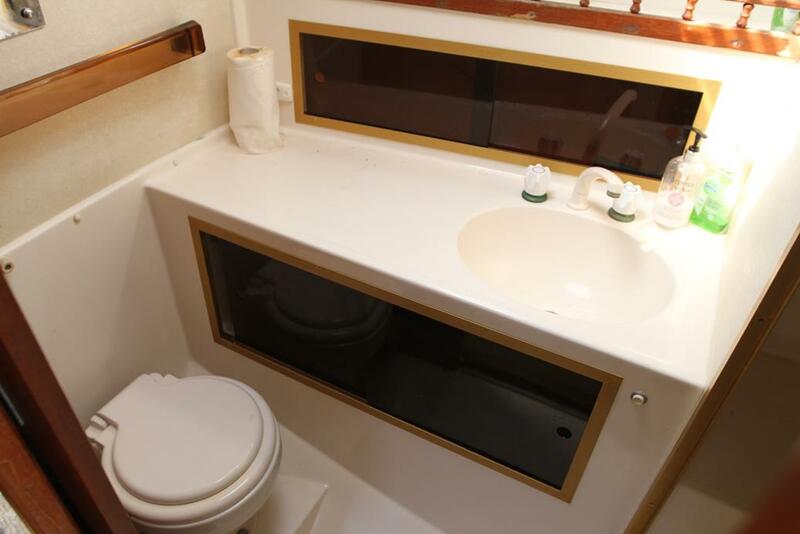 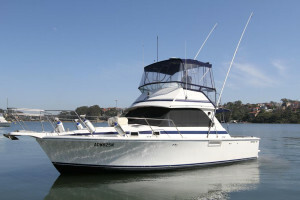 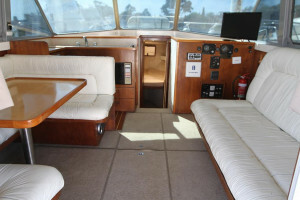 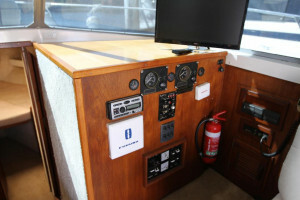 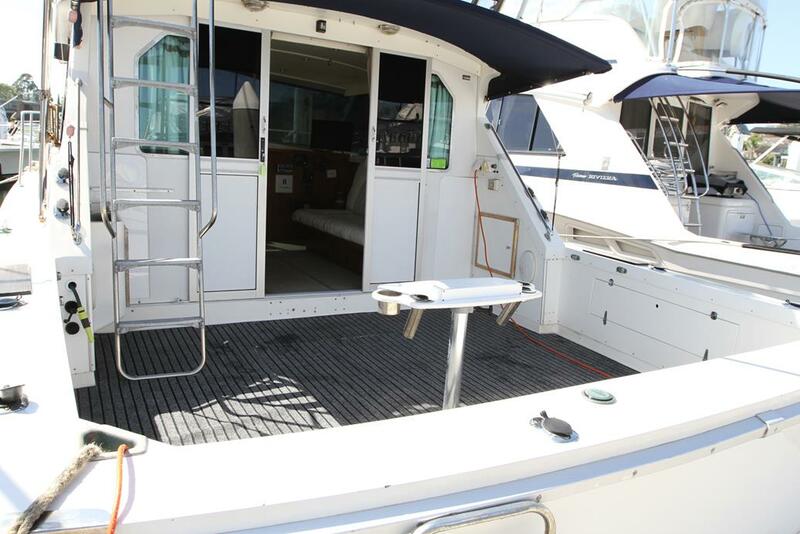 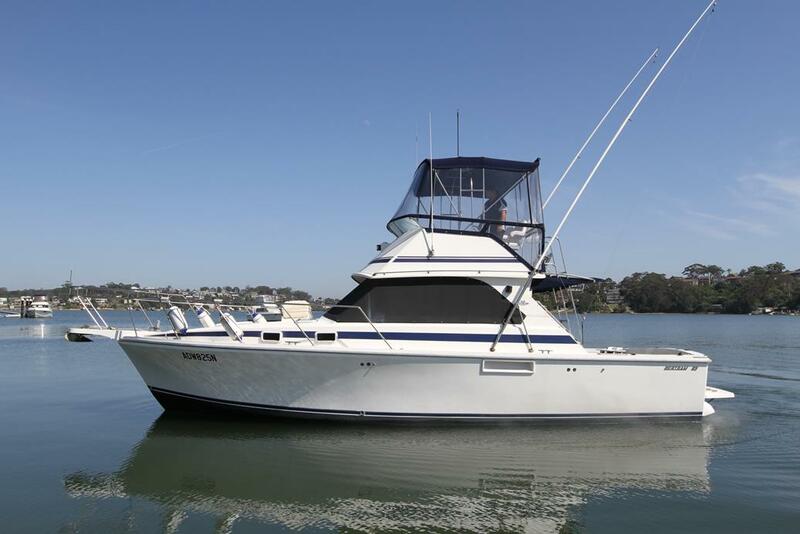 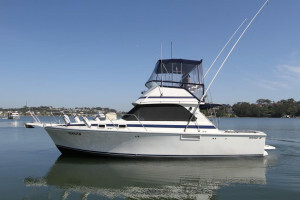 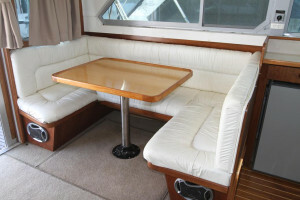 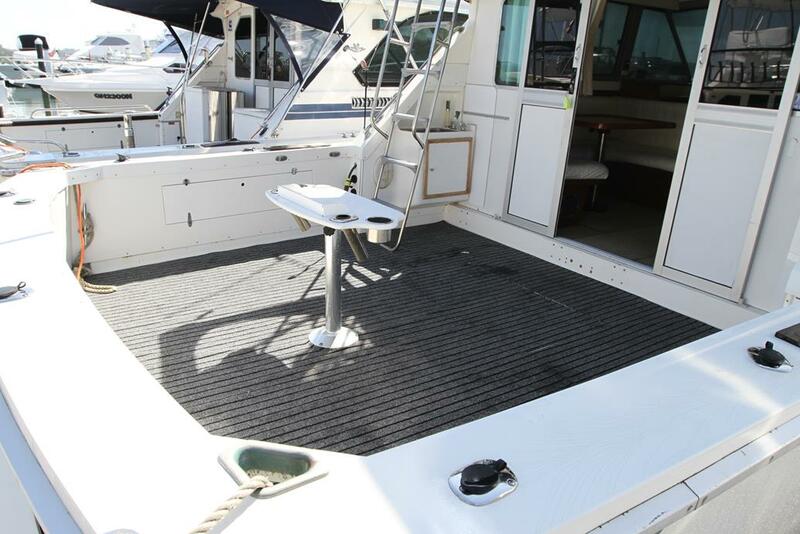 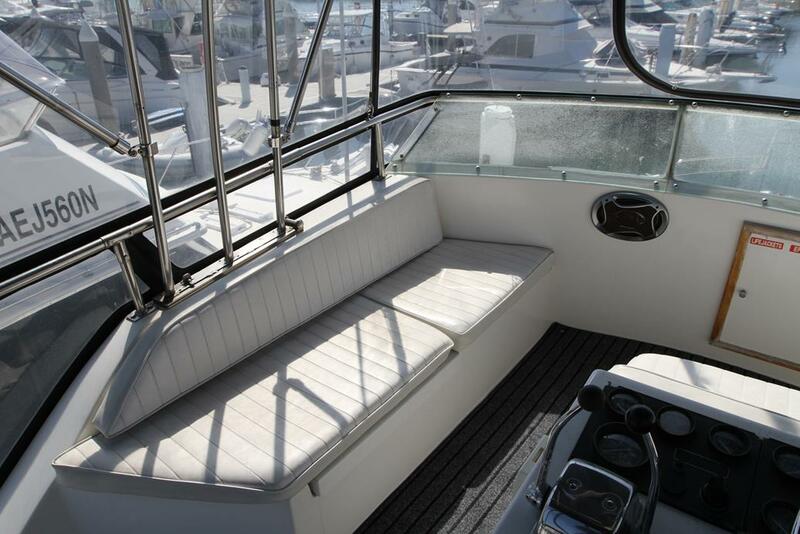 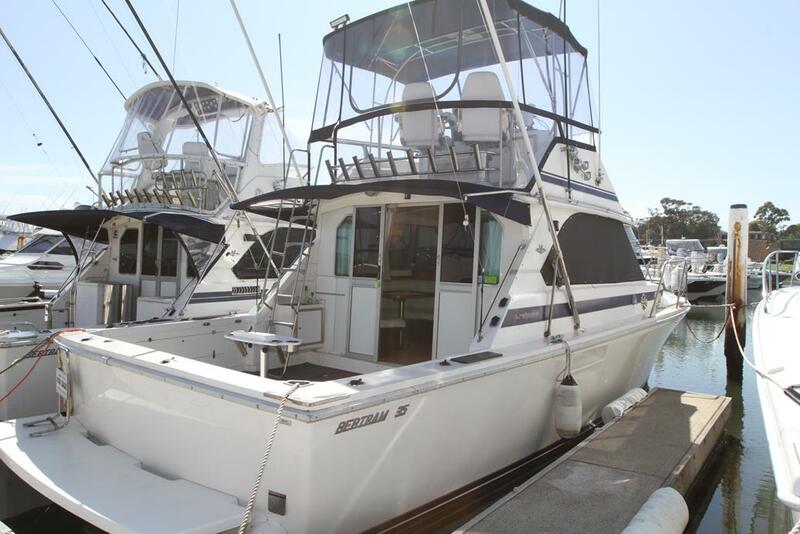 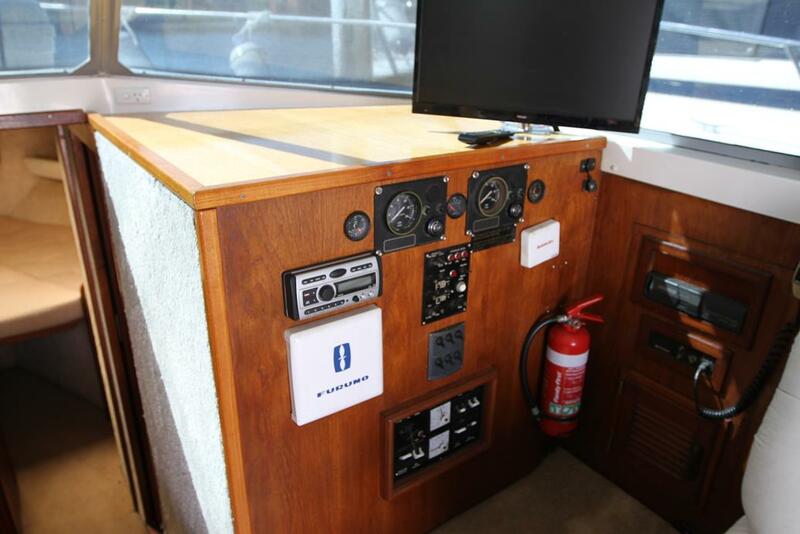 Some of its key points include Bimini top with four sided clears, Cockpit sun awning, three sided screen covers, Furuno 1kw sounder, Raymarine chart plotter, VHF radio, stereo, TV with DVD, cockpit and flybridge carpets, Game poles, Rod holders, Cockpit tackle station, Trim tabs, Galley with Cooktop and microwave, Cockpit spotlights and more. Boat has just recently been slipped, antifouled and polished and is ready to go.